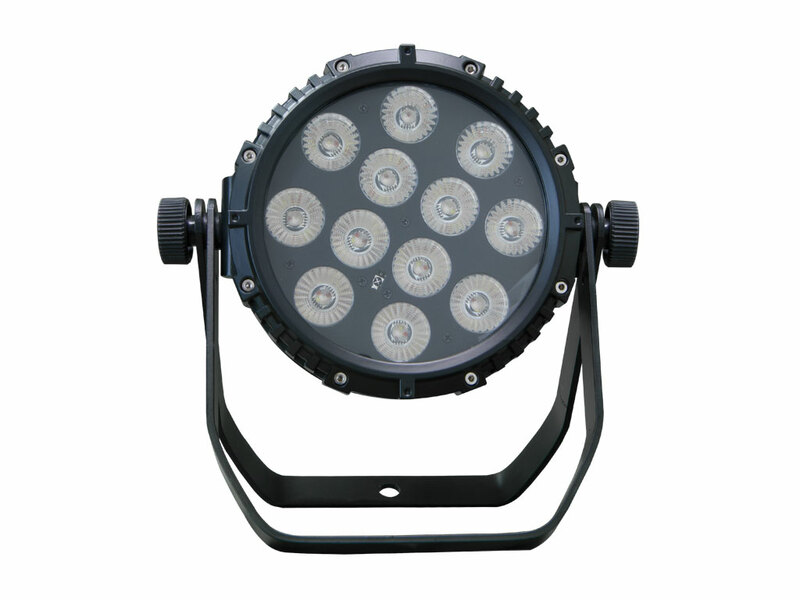 SUPERLED BAT 144 IP WI is a lighting projector which includes 12x 12W RGBWA +UV (6 in 1) LEDs. These brilliant LEDs allow to obtain a rich colour spectrum mixing the red, green, blue, white, amber and ultraviolet colours. 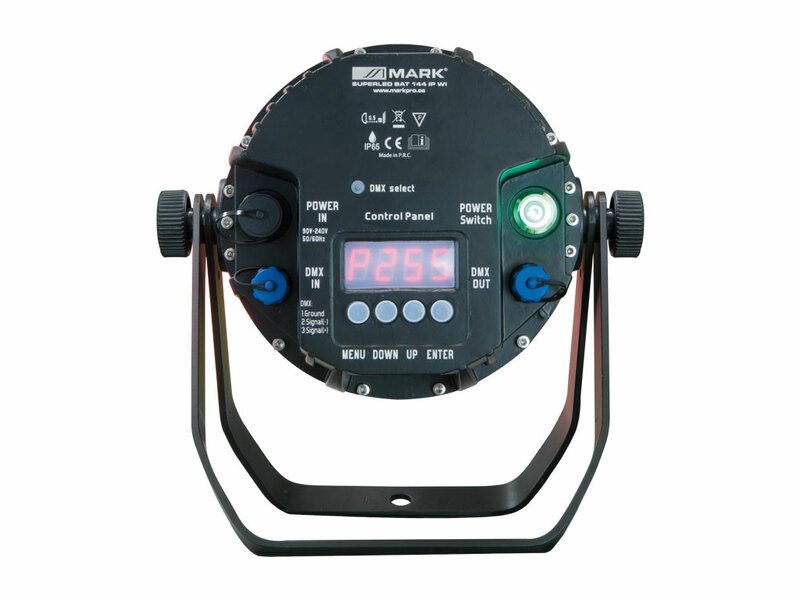 Its high IP rating (IP 65) allows to operate the unit outdoors. 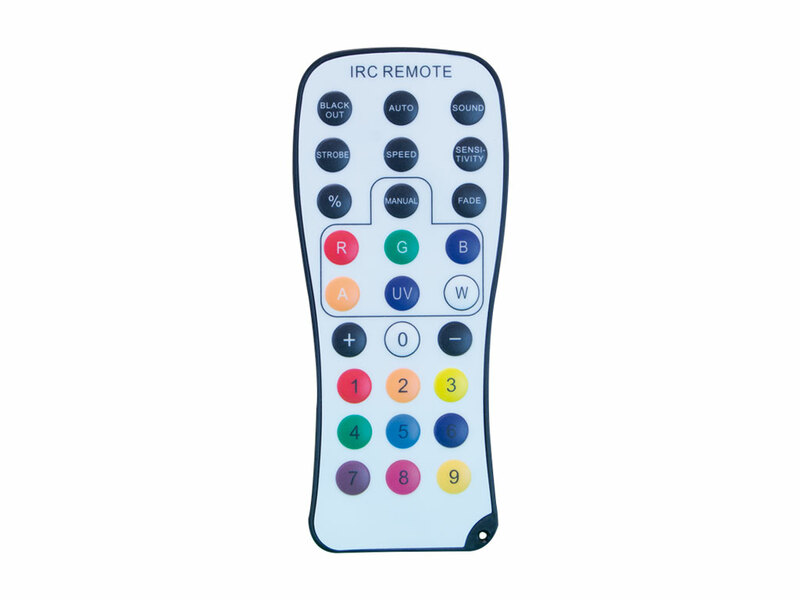 The configuration interface has a display with all the information and buttons to navigate through menus, selecting parameters such as: manual level of each colour, strobe or inner effects. The device includes DMX mode (6 and 10 channels) with individual colour dimming, built-in effects and strobe function. 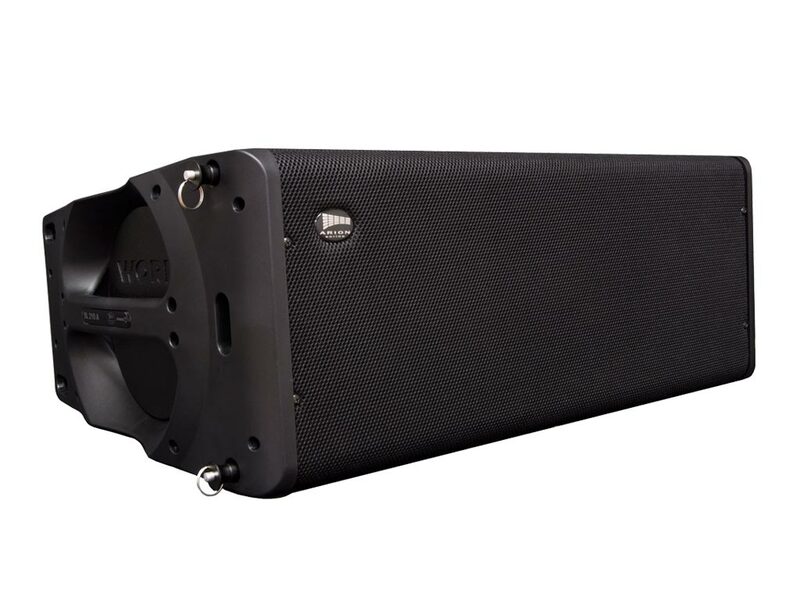 As additional and important functions, it is possible to control the device through Wireless DMX (using an external controller) and infrared (IR), thanks to the included remote controller. 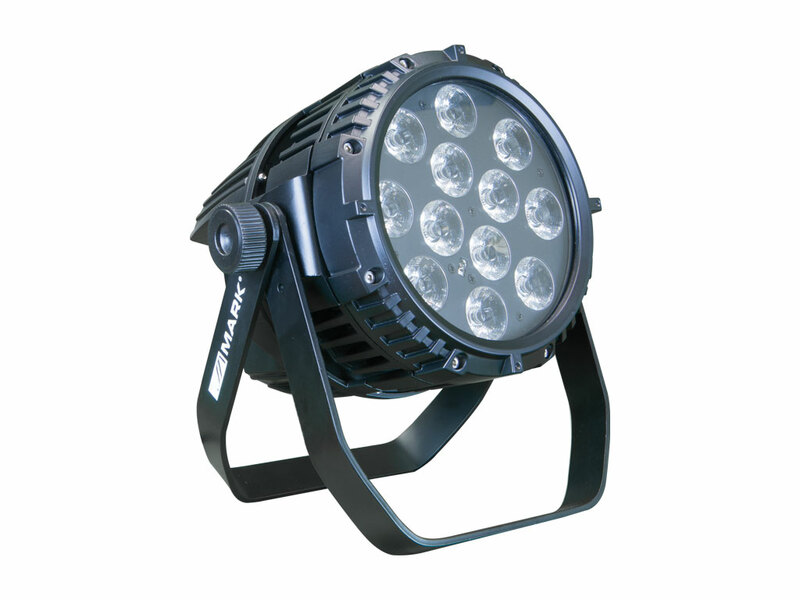 Its double handle allows to fix it in a truss or ground. 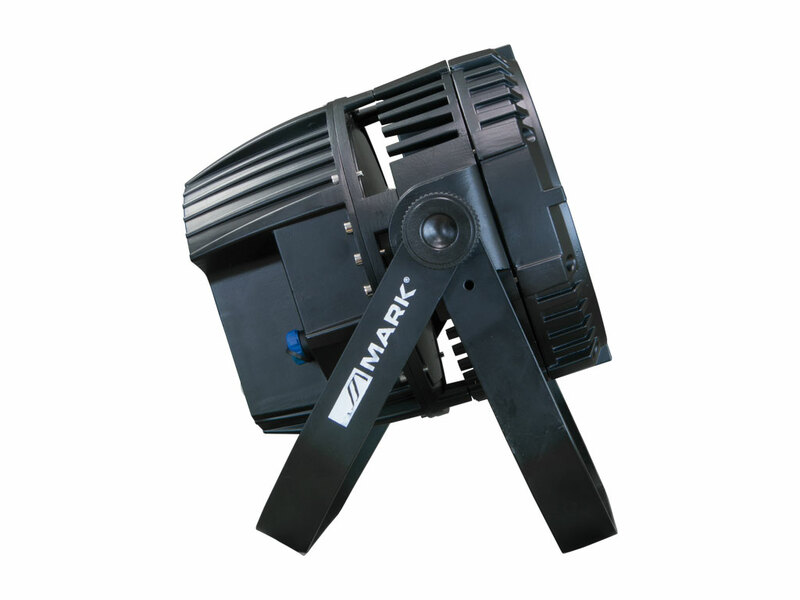 Lighting projector which includes 12x12W RGBWA +UV (6 in1) LEDs. For outdoor appliances (IP 65). 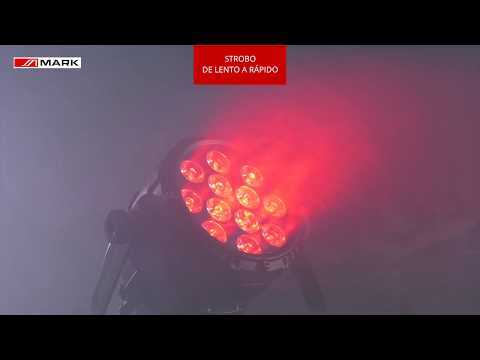 Wireless DMX and IR as additional control methods. Display and interface for setting functions.